We would like to welcome you to our lovely converted barn showroom based on our family run farm on the outskirts of the historic town of Maldon, where we both live with our families. We have an extensive range of designer hats and fascinators for you to try in a relaxed and friendly atmosphere where we are able to offer you our undivided attention and experience to help you find the perfect hat. 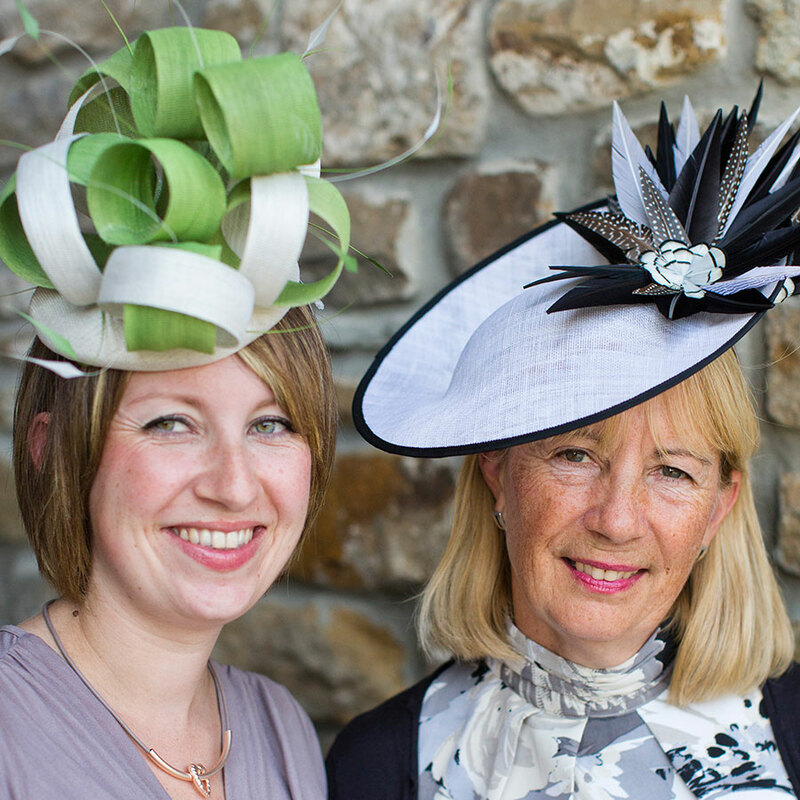 Whether you’re looking for something extravagant or something more discreet there are hats to suit every taste and budget. We want to make sure your visit is an enjoyable and successful one. Our showroom is open by appointment from Monday to Saturday; please call ahead for an appointment. We have good changing facilities so please bring your outfit with you as this will help to find the perfect hat to compliment it. While visiting our showroom, if you have the time why not make a day of it and visit some local attractions including the local town of Maldon, beautiful Heybridge Basin, historic Beeleigh Abbey or RHS Hyde Hall gardens, tea room and gift shop. There are also a number of good pubs and restaurants close by. Situated off the B1018 in the village of Latchingdon. Pass the Red Lion Pub on your right and turn left approx 200 metres after the pub onto Butterfields Farm Lane, look out for the Get Ahead Hat sign on the roadside. Continue straight ahead for 1/2 a mile to the main farmhouse at the end of the lane, the showroom is the thatched barn directly ahead of you.